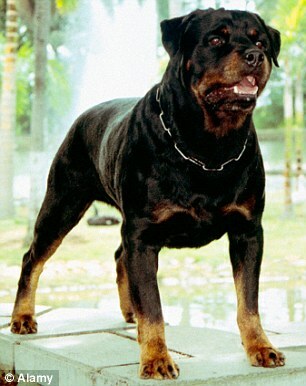 A British woman has died while on holiday in Kenya, after being viciously attacked by three Rottweilers. 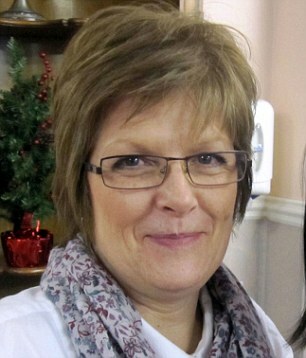 The woman, named as Elizabeth Claire Wright, 55, was visiting her Kenyan husband’s seaside home when she was savaged by the dogs. Known to her friends as Liz, Ms Wright was staying with her 31-year-old husband, Fred Karisa, at his home in the village of Watamu, on the Indian Ocean coast. It is believed Ms Wright, a teaching administrator from Horsham, in Surrey, heard the dogs barking and freed them from their cage to feed them on August 18. But instead the aggressive dogs turned on her. Mr Karisa, who is not being treated as a suspect, told police that he had warned his wife not to go near the dogs. He was not in the house at the time, as he had left on a day trip to the nearby city of Mombasa. He told police that it was only when he returned home that evening that he discovered his wife’s body, half-eaten by the dogs. Ms. Wright, who had worked for five years as personal assistant to the principal at St. Joseph's special needs school in Cranleigh, Surrey, had previously lived with her husband in Kenya before deciding to return to the UK. After returning to Britain, she moved in with her parents in the family’s cottage in a hamlet near Horsham. Her mother, Janet, told the Telegraph that she doubts they will ever know what happened to her. Although early reports in Kenya claimed that Mr. Karisa was being treated as a suspect, police have insisted there was ‘no foul play’ and no arrests have been made. ‘The death is subject to an inquest,’ said Douglas Kanja, the police commander for Kilifi County. The investigations have been completed and file sent to the Director of Public Prosecutions for the inquest to be opened. He continued: ‘She was in the house when she heard them barking and thought they were hungry and needed some food. ‘The dogs mauled her to death when she opened the cage to feed them. Police reported that Ms Wright was due to return to the UK on August 21.